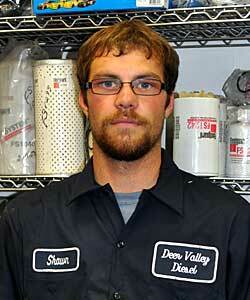 Welcome to Deer Valley Diesel Inc. If you are seeing this text message you are missing our Flash header. You either have your Flash plugin turned off, or you need to download the most recent version of Flash. 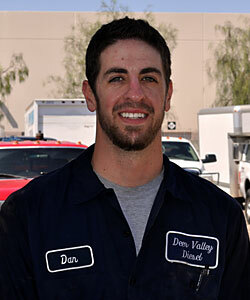 Welcome to Deer Valley Diesel Repair, Inc.
Award winning Deer Valley Diesel is Arizona's Emergency Road Service Specialists. Road service available 24 Hours a Day, 7 Days a Week, 365 Days a Year. Deer Valley Diesel Repair is your 24 hour emergency road service specialist, the only diesel truck service and repair shop you will ever need. We specialize in all truck repairs, whether it's class 8, heavy duty, medium, or small pickups. Our qualified techs can also fix your buses, recreation vehicles, and heavy equipment. They can perform all major and minor repairs on the engines, transmissions, suspensions, front and rear differentials, drive lines, tires, brake systems, fuel injection systems, lift gates, air conditioning - A/C Systems, hydraulics, electrical, body & frames. Put simply, if it has a diesel engine we can fix it. We can provide servicing and maintenance for all fleets, call us or drop by for details. Deer Valley Diesel's Emergency Roadside Assistance on class 8 trucks is what we broke into the industry with in 1994. Need new brakes, lights, a starter, or need a flat tire fixed? You're only one call away from hitting the road again with Deer Valley Diesel Repair. If it's a major break down, we will get you a tow to our full service 6 bay repair facility, complete with two Atlas 15,000 lb. lifts. Also available are DOT Inspections, computer diagnostics, and alignments. You're only one call away. For more details on the services we provide please visit our service section. Be sure to check out our for sale section, we have diesel trucks, diesel engines, and other truck parts for sale. 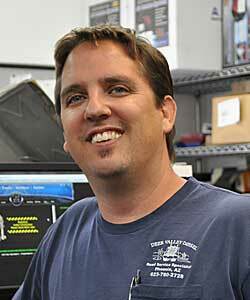 En Deer Valley Diesel Repair, Inc., Se Habla Espa�ol Para SuS ServicioS. For more information on these products, click links over on the left. Deer Valley Diesel's focus is to provide a variety of mechanical and technical services to a wide range of clients, while keeping our costs competitive. We have the benefits of a fully operational six bay shop and provide state wide road service for quick, fast, on-road repairs. The key to our success since April of 1994, has been our Integrity, the most valued of all our ethical attributes, Integrity has always been the guiding trait for Deer Valley Diesel. It's because of our ethical business practices, we tend to form long lasting, friendly relationships with our clients, we are determined in our commitment to client satisfaction. Of course having very competive costs help also. Click here to open our Awards and Accolades page. RV's & Bus - $125.00 per hr. RV's & Bus - $135.00 per hr. Service Call Rates: Same as Shop, plus Mileage. Ultrans, Trans Platinum, or Cash. of diagnostic tools that we can choose from. service@deervalleydiesel.com Map to Deer Valley Diesel. Less than most diesel repair companies! Our social links are over on the left side of the page. Go to our Facebook page for updates on events and other happenings that Deer Valley Diesel participate in, don't forget to fav us. Go to our Twitter page periodically for important truck and diesel tips that we post. On our Blogger page we leave advise, have discussions, and answer questions with anyone who posts a question there. The Deer Valley Diesel YouTube page has arrived, go check out some cool videos. 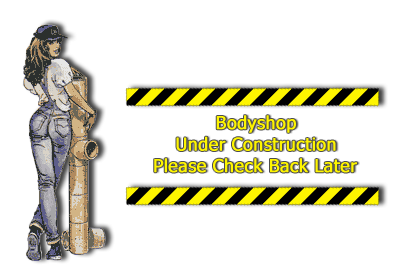 The Bodyshop page is still under construction. Please give us a call for more information about our Diesel Gear. 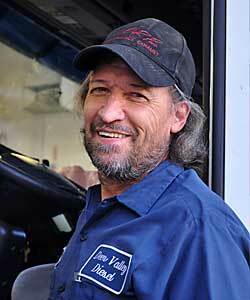 Established Deer Valley Diesel Repair, Inc.
April 1, 1994 with only one service truck. 30+ Years in the industry. Rancho Santiago College. Cat - Cummins - Detroit - Volvo Certifications. Softball, Pool, Raquet Ball, Harley Davidson Enthusiast. 20+ Years in the industry. Class 8 Trucks / Trailers. Bendix & ABS Systems / Stemco & Clutch / Duramax Certications. Fishing, Boating, & the Outdoors. 10+ Years in the industry. 7.3L, 6.0L, 6.4L, & 6.7L. 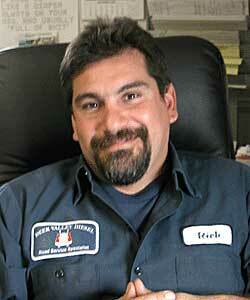 Working in the diesel repair industry since 1979. 5 Yrs. Welding & Fabrication, 3 Yrs. Service, 5 Yrs. Eng., & Suspensions, 4 Yrs. 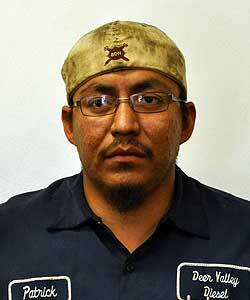 A/C & Brakes, 3 Yrs. Transmissions. Certifications in Welding, Fabrication, A/C, & Heavy Duty Brakes. 3+ Years in the industry. 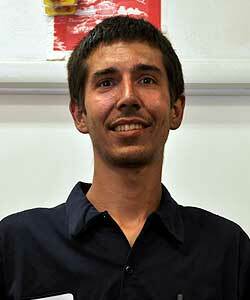 UTI Graduate for Automotive, Diesel Industrial, Alldata Certified, Auto & Reefer Unit Qualified. Dirt bikes & working on my truck. 3+ Yrs. servicing Class 8 Trucks & minor repairs. Sit a spell and visit our photo galleries below. Do we have room? Check it out! we will be posting more galleries soon. Some of our repeat customers. Deer Valley Diesel carries the complete Bullet Proof kits for both the 6.0 & the 6.4. For a complete description of how we Bullet Proof your truck click your link below. Click Here to View in New Window.